Crazy good Black Friday, Cyber Monday Vitamix and Blendtec sales on now! Vitamix and Blendtec were both running good sales leading up to Thanksgiving, and in years past, those have been the best deal on a blender that you’ve been able to find. It looks like this year they are both kicking their sales up a notch and putting out some once-a-year level Black Friday specials. Standard Reconditioned unit, which comes with a 5-year warranty. As of right now, the Standard Reconditioned unit is only $285 at Vitamix.com . That is the best price I have ever seen for that model, and is both the first Vitamix I ever bought, and the model Vitamix is best known for. I do not know if that pricing will be good through Cyber Monday, or if that is just a Black Friday special, or if it is only available for a limited quantity, but it is available as of writing this post. This deal is only available from Vitamix directly, and you can get free shipping by visiting Vitamix through this link . I wrote in this recent post about the current promotion pricing on the Standard Reconditioned unit over at Vitamix.com . Shortly after noticing the promotional pricing that’s currently in effect, I received this in my inbox, which confirms that the current pricing is good through Thanksgiving. As has been the case with promotional pricing in the past, you can combine that sale with free shipping when you order from Vitamix.com . Hopefully that helps keep people on the fence from being caught off guard when the price goes back up after Thanksgiving. I’ve made all of those in June, most recently frozen piña coladas, but I didn’t grab a photo of that. Instead, here’s a photo from a few days ago when I was using both my <a title="Vitamix 7500 arrived! Uploading an unboxing video as I type this." Vitamix and Blendtec to make both the Matcha Milk Frappachino and whipped cream at the same time. Making Matcha Cream Frappuchino in my Vitamix 7500 at the same time as making whipped cream in my Blendtec Designer Series. Complete overkill, but it was fun using both blenders at once. Over four months have passed since I got my newest blender, a Blendtec Designer Series in January. 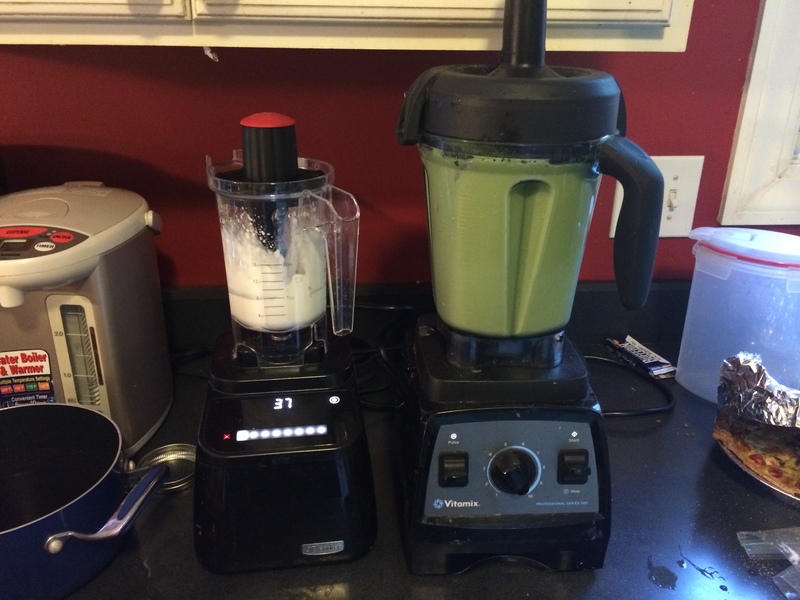 I got my Professional Series 300 a year before that in January 2013, although I had two Vitamix blenders before that. 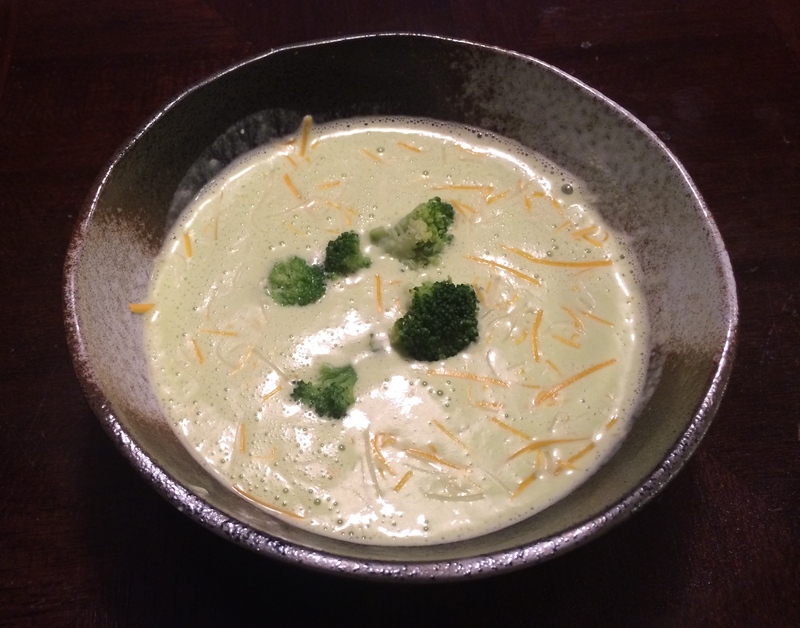 I still tend to use the Vitamix the most, but I’ve got over 120 mixes clocked in on the Blendtec, and I figure it deserves an update on what I’ve found it well suited for, and what I use the Vitamix for. The Blendtec has proven very useful for Matcha Milk Frozen Drink and frozen sports drinks. Because the blender won’t mix properly without the right balance of ice and water, it’s easy to know if I need to add more milk to the matcha mix or water to the ice and powered sports drink. It’s also easy to hit the button to start the blender mixing, and then put away the milk or Super VAAM sports drink powder or whatever other ingredients I have while it’s mixing. The blender has a tendency to start dancing off to the left while mixing at high speeds on my counter tops, but there’s a hot water pot that keeps it from jumping off the counter. The smaller Blendtec Twister Jar is also great for sauces, whipped cream, and very small mixes. It sounds like it might also be significantly better suited for making peanut butter than the larger container, but I need to eat our existing peanut butter before I make more. Sadly, neither Blendtec jar, nor any Vitamix I’ve had has done a great job as a coffee grinder, so while these blenders can do a lot more than a traditional blender, they’re no replacement for a coffee bean grinder. As for soups, green smoothies, sorbets and similar thick mixes, I find it extremely satisfying to mash away with the tamper while blending. The Vitamix is also great for the right texture on frozen smoothies and banana milks, and with its very sharp blades, I would trust it for Kinako Powder and almond powder.